Home News Replacing our Wheelchairs. 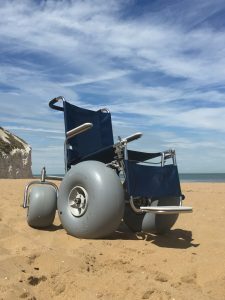 Being able to spend the day on a beach that was previously inaccessible can be life changing for some! We started fundraising to replace our current fleet of Landeez wheelchairs in April 2016. 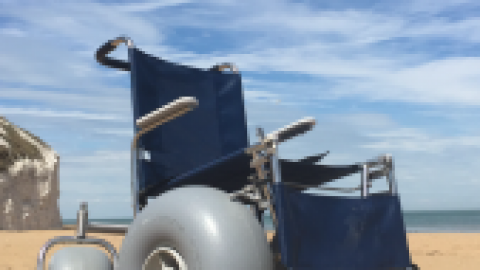 To replace all 15 of our all-terrain chairs we need to raise approximately £40,000. Local people are helping to fund a truly local charity that benefits a large number of people from the Isle of Thanet and beyond. 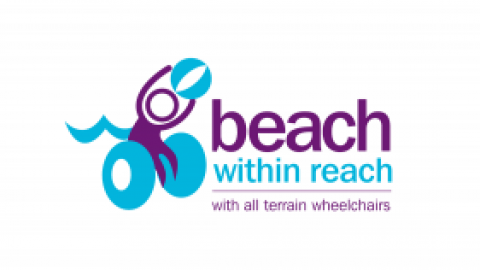 We are delighted to say that so far a staggering £28,000 has been donated to Beach Within Reach. 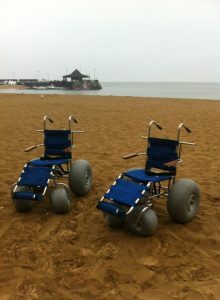 We are thrilled and have 7 new wheelchairs on order which you will see on our beaches at the beginning of June. 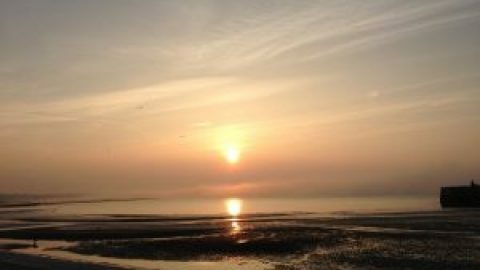 We have been supported by individuals, businesses and groups from all over the Isle. Every donation we have received in the last 12 months goes directly to the charity. The volunteers and trustees do not receive any wage for the work they do. If you have left money in our charity collection boxes, tried your luck on our tombola stall or popped some money in one of our collection buckets on our information stalls at various events then that money will go directly towards our annual running costs. All other monies donated to us this and last year will go towards the purchase of the 15 new wheelchairs. We have genuinely been overwhelmed by the support you have shown us. Your generosity has left us speechless and you should be very proud. Westgate & Birchington Golf Club, Christ Church Ladies Group (Westgate), Birchington Art Group, Birchington Explorers, everyone who attended both of the fundraising events at Joe’s in Minnis Bay, 1st Birchington Scouts, Thanet Business Connect, Margate Inner Wheel, Minnis Bay Ukulele Club, Thanet Lions Club, The Rotary Club of The Isle of Thanet Sunrise, Margate & Dr Peete’s Charity, everyone who donated via the Margate and Broadstairs JustGiving pages, all who attended the Westgate Gardening club talk, Birchington & Westgate Rotary Club, Carol & Michael Salter, Broadstairs Rotary Club, National Citizen Service (NCS), The Sticky Wicket Ramsgate, Kent School of English, Your Leisure, Sainsbury’s Birchington, Westgate Walking Group, Emma Powell, Mylan, The Bottle Shop Margate, Thanet Wanderers, The MED Group, The Greyhound Buskers & Thanet Ukulele Club, everyone who donated to us in the CO-OP community fund initiatives in Palm Bay & Ramsgate, Stagecoach Drivers and Staff, Mrs P Baum Barker, Kent Police Property Fund. We would also like to thank all of the incredible businesses who have donated raffle prizes for various events over the last 12 months or so, your support is invaluable. We’re not finished yet though and we still have a long way to go before we reach our target. If you would like to make a donation, you can do so via our donate page. If you would like to hold a fundraising event for us please get in touch, we would love to hear from you.